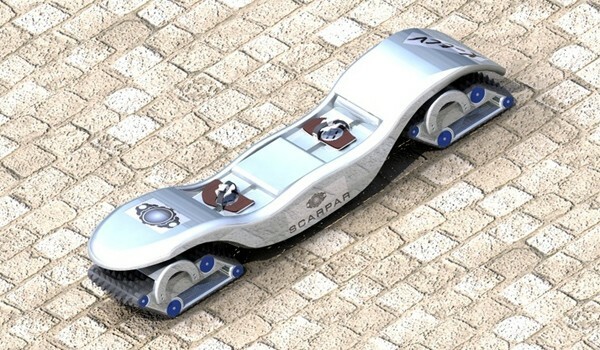 Scarpar off-road powerboard absolutely must go commercial: "Hoverboards? Too complicated, too far out and too expensive. What the world really needs is the Scarpar. Said device is an off-road powerboard that just moved on from the concept stage to engineering. Its creators have thrown together an absolutely sick video (after the break) which showcases all the possibilities, and now all that's left is for those very folks to procure a good bit of venture funding to get things moving"